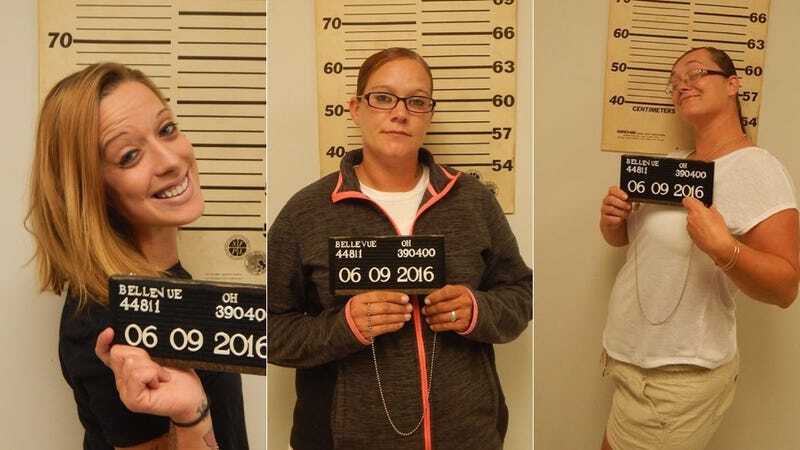 Three women were arrested for assaulting a McDonald’s employee last week in Bellevue, Ohio; two of them are seen smiling in their booking pics. The trio is accused of beating up a woman who worked at McDonald’s, after the employee supposedly failed to complete their order in a timely fashion. The Bellevue Police Department ID’d the suspects via security footage as Ashley England, Mary Jordan and Sammie Whaley. Police claim England and Jordan’s kids were also involved in the attack. The department posted this message on Facebook. A Guardian piece from this week, discussing how “McDonald’s have become de-facto community centers,” particularly in low-income neighborhoods, is a nice counter to this wack tale out of Ohio.